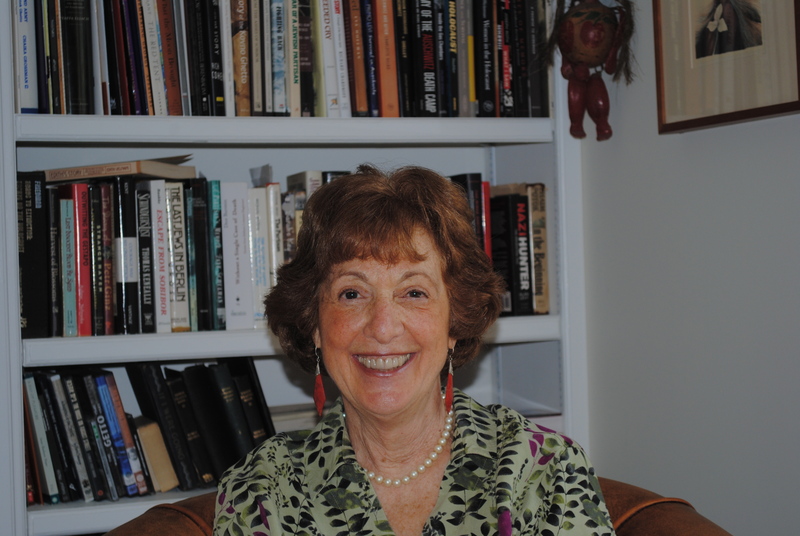 Her books have received critical acclaim and awards for her unique ability to combine historical facts with intimate storytelling, and for finding ‘new ways to present the lives of well-known heroes‚’ like Martin Luther King, Jr., John F. Kennedy, Eleanor Roosevelt, Helen Keller and the Statue of Liberty. A dynamic writer-teacher-storyteller in the classroom, she is a frequent speaker at state and national educational conferences, universities, libraries, historical societies, book fairs, and community centers. She has been a featured author at the National Portrait Gallery, National Book Festival, the Smithsonian Museum of American History and the White House. Born in New York City, she lived in a home surrounded by music. Her father was a musical arranger and her mother a singer. She studied the piano and attended the Performing Arts High School in New York City. She graduated from Brandeis University and became a junior high school music teacher. In the 1965, she went to McComb, Mississippi to teach in a Freedom School and learned a part of American history she had not really understood before: “I met extraordinary ordinary people – Black Americans who had been deprived of their rights, who were threatened with death on a daily basis, and demonstrated a kind of courage of the great mythic heroes.” This journey transformed her consciousness and ignited her desire to write about people’s struggles against oppression – it became her dream and commitment. Among her numerous honors, she is the recipient of The Washington Post Children’s Book Guild Award for Lifetime Achievement for the writing of non-fiction. Her book, Martin’s Big Words: The Life of Dr. Martin Luther King, Jr., illustrated by Bryan Collier, received a Caldecott Honor Award, a Coretta Scott King Award, the Jane Addams Book Award, and an Orbis Pictus Honor Book. It is the seminal children’s book on Dr. King’s non-violent philosophy and has been read to children in New York schools by Mayor Mike Bloomberg and Senator Hillary Clinton. Doreen Rappaport and her husband Bob Rosegarten, an artist, divide their time between New York City and the upstate village of Copake Falls. Children, including her own eight smart, funny, tech-savvy grandchildren, continue to inspire and enrich her life and writing. Gigi Amateau: What was it that drew you to write a picture book biography of Helen Keller? Doreen Rappaport: Helen Keller is one of the most inspirational human beings, in not just American history, but world history. I wanted young children to learn about her. I wanted children at an early age to understand that anything you want to do is possible if you are determined, persistent, and courageous. There are many barriers in life but they can be overcome. Children need role models. Helen Keller sure is a role model! GA: The book makes such good use of your text and Helen’s words. There are times where the interplay between the two feels very much like a conversation. Did you write your story of Helen’s life and then integrate her words or are the two perspectives always entwined as you’re writing? DR: I had written five picture book biographies before Helen’s Big World, which all incorporated quotes from the particular individual combined with my narrative. I found this technique when I was writing the first picture book biography on Martin Luther King, Jr., entitled Martin’s Big Words and realized then that children should hear the voice of the person I was writing about. That would bring the person to life. That would authenticate and illuminate my narrative. In doing the research for this book as the other biographies, I read the most important biographies written about Helen Keller, and then read many speeches of hers and also her various autobiographies written at different times in her life. By the time I shaped my narrative of Helen Keller’s life, I already had pages of quotes by her that just seemed to work with the important facts I was presenting. GA: Helen Keller’s life story was familiar to me, as was the story of the relationship between Helen and her teacher, Anne Sullivan. Yet, this sentence of yours: “once Helen learned to write she never stopped,” followed by examples of Helen’s writing, completely deepened my understanding of Helen’s personal journey. Was there a moment for you in writing or researching Helen’s life where you had an epiphany or new insight? DR: That moment when Helen learns that objects and people have names, that moment led to her wanting to write, and both experiences transformed her life, and she wouldn’t stop. I love the idea of her constant search and thirst for knowledge. It is something we want to instill in children; actually, we need to be reminded of this as adults. We need to constantly recreate that impulse to not stop learning something, not stop doing something. It is the force of life and achievement. You picked a really wonderful moment in the book for your epiphany. I share that moment, too. GA: Research must be very important to your work. Can you describe your research process or does it vary depending upon the material? DR: My research always starts with books about a person or a subject written by historians who spent years digging and learning about the person or event. GA: What are you working on next? DR: I am finishing up a picture book entitled, Elizabeth Started All the Trouble which traces the struggle for women to win the vote and win equality with men in the United States. GA: Thank you so much for your time and inspiring answers!